Audioboom / #136 | Live at Dublin Podcast Festival 2018~! 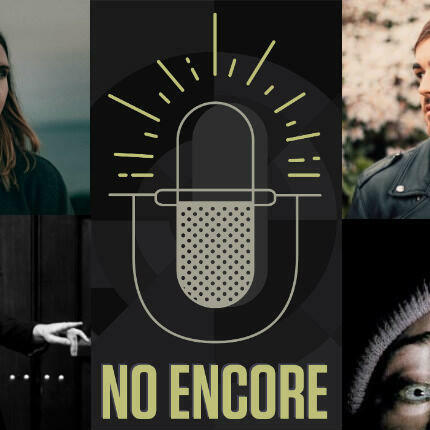 NO ENCORE goes live again with a grand return to The Workman's Club in the heart of Dublin city on a wistful autumnal Sunday night. ACT ONE: Dave and Daithí review Oscar hopeful A Star is Born. ACT TWO: Paddy Hanna clambers aboard the couch for a chat before bringing the house down with a few old standards. ACT THREE: Music news in review aka why presidential hopefuls should probably just avoid pop culture commentary altogether. ACT FOUR: Photographer to the stars Christian Tierney takes us through his fascinating whirlwind story to date. ACT FIVE: Songs of the Week with Boyzone, Charli XCX, Anderson .Paak, Sigrid and Dave's fascination with The Blair Witch Project. ACT SIX: Lilla Vargen closes the night out in style. NO ENCORE returns to the Workman's Club on Wednesday December 19 for the NO ENCORE Quiz of the Year. Get involved.